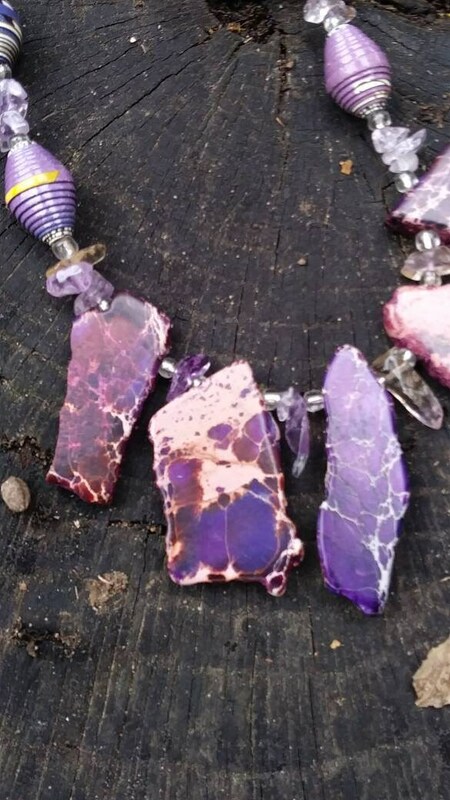 A lovely combination of purple tones, in a variety of stones. 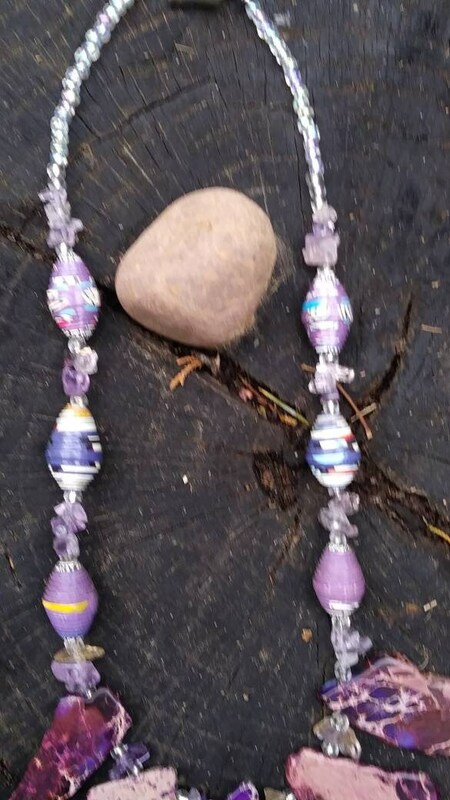 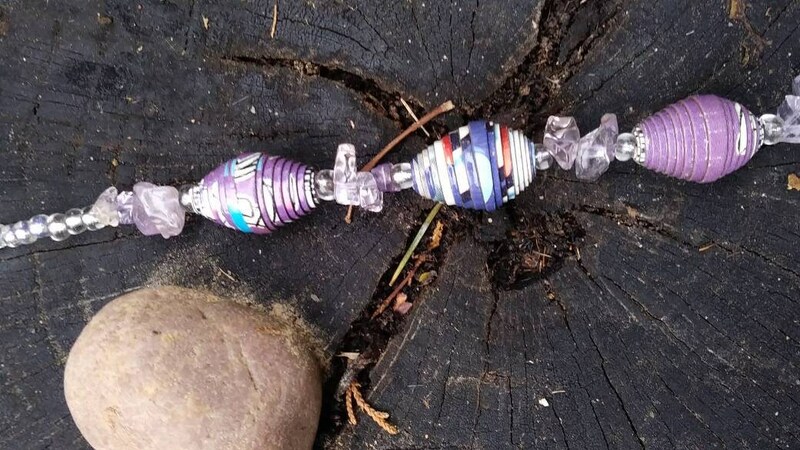 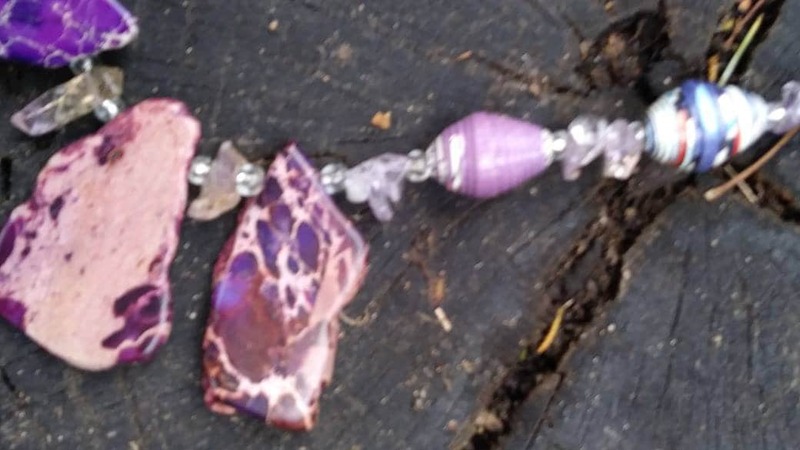 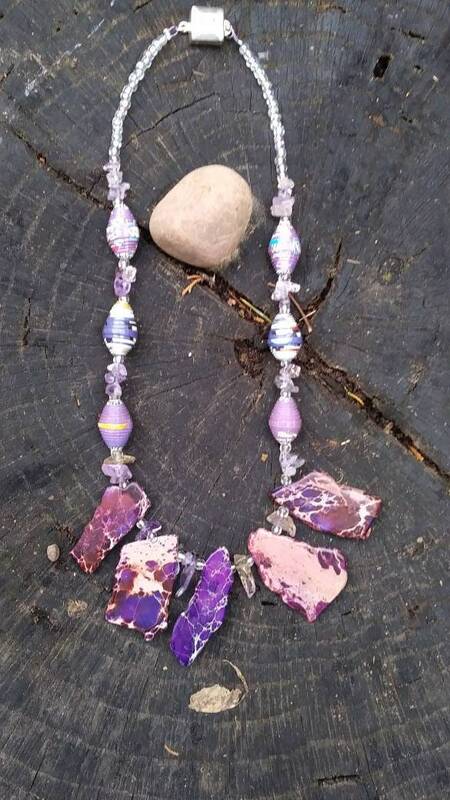 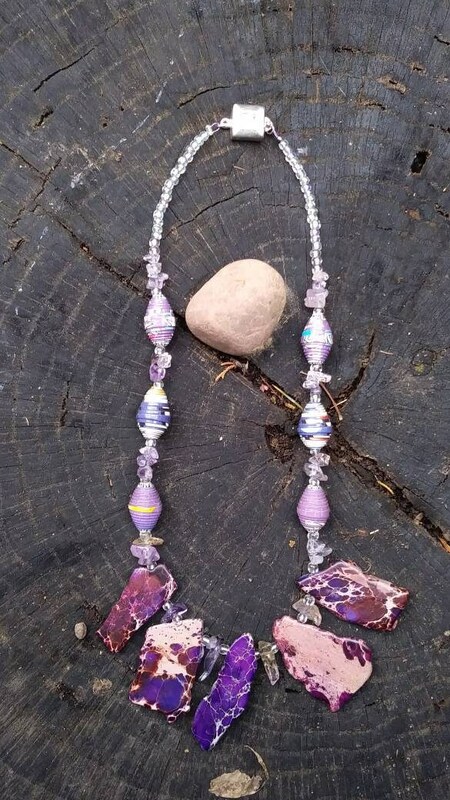 Unique textures of amethyst glass, dyed jasper stone and handmade Haitian paperbeads make this more than just a necklace! 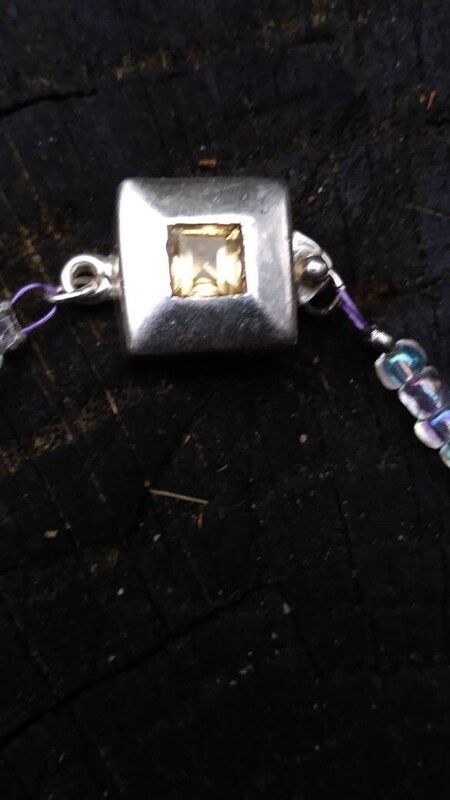 Sterling silver clasp with inlayed stone makes this a touching gift.